A Gong Bath (or Gong Meditation) is a form of Sound Healing where the Gong and related sound tools are played to promote relaxation, meditative states, self transformation, enhanced creativity, and general well being. The term 'bath' signifies being bathed in sound waves - there is no water or touching involved. Fully clothed, you are invited to lay comfortably on a yoga mat (or sit on a chair/cushion if you find it more comfortable), wrap yourself in a blanket, close your eyes, relax, and be cocooned in a sonic immersion. A Gong Bath is the perfect timeless zone to simply be. It provides a space to re-generate, re-nourish, and re-set your whole being - mind, body, emotions, soul, and energy field. Producing a strong sound wave, the vibration of the Gong massages the physical body, stimulates the dermatomes, de-clutters the mind. clears any emotional and energetic debris, and feeds the soul. 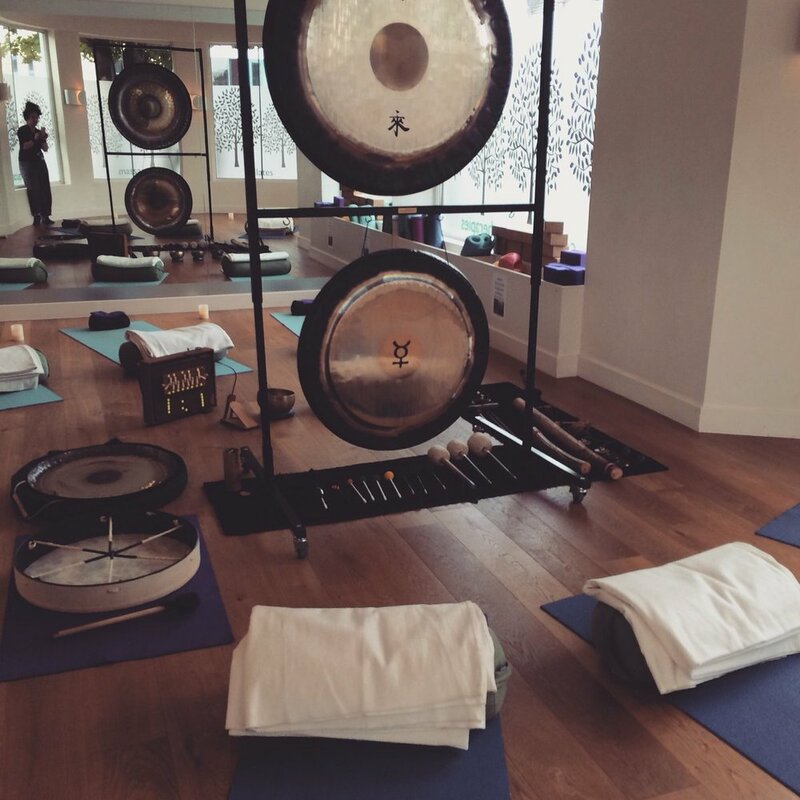 A Gong Bath provides a personal experience that adds a whole new palette of colors, nuances and shades to life. All you have to do is let go and relax. Hope you feel curious about it and give it a go. A safe space and an atmospheric/relaxing environment (i.e. candlelight or low light) with high quality Gongs and other sound tools like Singing Bowls, Koshi Wind chimes, Cactus Rainsticks, Croaking Frog Güiro'shakers, Bells, Rattles, Shakers, Chimes, Voice, a Frame Drum, and a Shruti Box,The session may include all, or some of these. 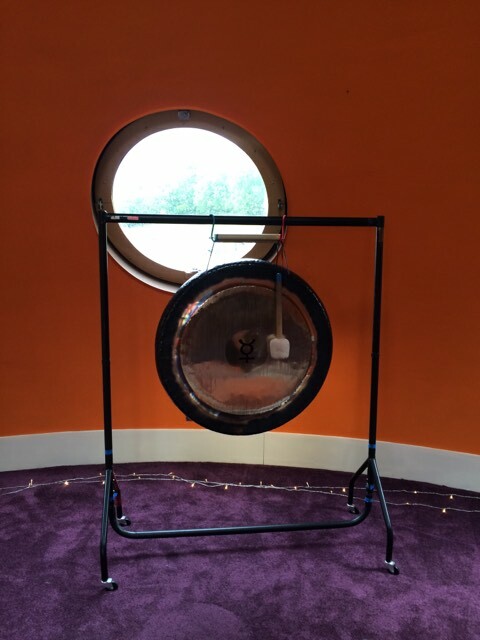 A short intro about Patricia (the Gong Practitioner), and the Gong Bath session. A sonic immersion with the sounds of the Gongs and related sound tools. Ongoing support after the session via email or telephone. Questions may emerge after the session and you are welcome to contact Patricia. Stress reduction, or a better ability to cope with stress. Breaking up of emotional blockages. Your own cushion/pillow (or cushions/pillows), and/or your own mat or extra 'padding' so you can can put it over the mat provided for a 'softer' bed. A blanket (or something similar like a sleeping bag for example) to keep warm because the body temperature may shift during the session. Please wear loose and comfortable clothing, and warm socks. I start sharp on time and lock the door before the start. Please arrive on time. You are on your first or last trimester of pregnancy. Suffer from a sound sensitive condition. Or have any particular need and not sure if the sessions are suitable for you. If you cancel with 3 days notice, I can issue a refund. Refunds are not issued if cancelation is not made on time. Late admissions are not possible due to the nature of the session. If you arrive late and find the doors closed, I am sorry but I can't issue a refund. Depending on the circumstances, if there is the possibility, I may be able to offer a space on one of the next two sessions.